For other uses, see Whistleblower (disambiguation). For whistleblower protection in the United States, see Whistleblower protection in the United States. A whistleblower (also written as whistle-blower or whistle blower) is a person who exposes any kind of information or activity that is deemed illegal, unethical, or not correct within an organization that is either private or public. The information of alleged wrongdoing can be classified in many ways: violation of company policy/rules, law, regulation, or threat to public interest/national security, as well as fraud, and corruption. Those who become whistleblowers can choose to bring information or allegations to surface either internally or externally. Internally, a whistleblower can bring his/her accusations to the attention of other people within the accused organization such as an immediate supervisor. Externally, a whistleblower can bring allegations to light by contacting a third party outside of an accused organization such as the media, government, law enforcement, or those who are concerned. Whistleblowers, however, take the risk of facing stiff reprisal and retaliation from those who are accused or alleged of wrongdoing. Because of this, a number of laws exist to protect whistleblowers. Some third-party groups even offer protection to whistleblowers, but that protection can only go so far. Whistleblowers face legal action, criminal charges, social stigma, and termination from any position, office, or job. Two other classifications of whistleblowing are private and public. The classifications relate to the type of organizations someone chooses to whistle-blow on: private sector, or public sector. Depending on many factors, both can have varying results. However, whistleblowing in the public sector organization is more likely to result in criminal charges and possible custodial sentences. A whistleblower who chooses to accuse a private sector organization or agency is more likely to face termination and legal and civil charges. Deeper questions and theories of whistleblowing and why people choose to do so can be studied through an ethical approach. Whistleblowing is a topic of ongoing ethical debate. Leading arguments in the ideological camp that whistleblowing is ethical maintain that whistleblowing is a form of civil disobedience, and aims to protect the public from government wrongdoing. In the opposite camp, some see whistleblowing as unethical for breaching confidentiality, especially in industries that handle sensitive client or patient information. Legal protection can also be granted to protect whistleblowers, but that protection is subject to many stipulations. Hundreds of laws grant protection to whistleblowers, but stipulations can easily cloud that protection and leave whistleblowers vulnerable to retaliation and legal trouble. However, the decision and action has become far more complicated with recent advancements in technology and communication. Whistleblowers frequently face reprisal, sometimes at the hands of the organization or group they have accused, sometimes from related organizations, and sometimes under law. Questions about the legitimacy of whistleblowing, the moral responsibility of whistleblowing, and the appraisal of the institutions of whistleblowing are part of the field of political ethics. U.S. civic activist Ralph Nader is said to have coined the phrase, but he in fact put a positive spin on the term in the early 1970s to avoid the negative connotations found in other words such as "informer" and "snitch". However, the origins of the word date back to the 19th century. The word is linked to the use of a whistle to alert the public or a crowd about a bad situation, such as the commission of a crime or the breaking of rules during a game. The phrase whistle blower attached itself to law enforcement officials in the 19th century because they used a whistle to alert the public or fellow police. Sports referees, who use a whistle to indicate an illegal or foul play, also were called whistle blowers. An 1883 story in the Janesville Gazette called a policeman who used his whistle to alert citizens about a riot a whistle blower, without the hyphen. By the year 1963, the phrase had become a hyphenated word, whistle-blower. The word began to be used by journalists in the 1960s for people who revealed wrongdoing, such as Nader. It eventually evolved into the compound word whistleblower. Most whistleblowers are internal whistleblowers, who report misconduct on a fellow employee or superior within their company through anonymous reporting mechanisms often called hotlines. One of the most interesting questions with respect to internal whistleblowers is why and under what circumstances do people either act on the spot to stop illegal and otherwise unacceptable behavior or report it. There are some reasons to believe that people are more likely to take action with respect to unacceptable behavior, within an organization, if there are complaint systems that offer not just options dictated by the planning and control organization, but a choice of options for absolute confidentiality. Anonymous reporting mechanisms, as mentioned previously, help foster a climate whereby employees are more likely to report or seek guidance regarding potential or actual wrongdoing without fear of retaliation. The coming anti-bribery management systems standard, ISO 37001, includes anonymous reporting as one of the criteria for the new standard. External whistleblowers, however, report misconduct to outside persons or entities. In these cases, depending on the information's severity and nature, whistleblowers may report the misconduct to lawyers, the media, law enforcement or watchdog agencies, or other local, state, or federal agencies. In some cases, external whistleblowing is encouraged by offering monetary reward. The third party service involves utilizing an external agency to inform the individuals at the top of the organizational pyramid of misconduct, without disclosing the identity of the whistleblower. This is a relatively new phenomenon and has been developed due to whistleblower discrimination. International Whistleblowers is an example of an organization involved in delivering a third party service for whistleblowers. An increasing number of companies and authorities use third party services in which the whistleblower is anonymous also towards the third party service provider. This is possible via toll free phone numbers configured not to record the whistleblower origin call, and also through web solutions which apply asymmetrical encryption. Private sector whistleblowing, though not as high profile as public sector whistleblowing, is arguably more prevalent and suppressed in society today. Simply because private corporations usually have stricter regulations that suppress potential whistleblowers. An example of private sector whistleblowing is when an employee reports to someone in a higher position such as a manager, or a third party that is isolated from the individual chapter, such as their lawyer or the police. In the private sector corporate groups can easily hide wrongdoings by individual branches. It is not until these wrongdoings bleed into the top officials that corporate wrongdoings are seen by the public. Situations in which a person may blow the whistle are in cases of violated laws or company policy, such as sexual harassment or theft. These instances, nonetheless, are small compared to money laundering or fraud charges on the stock market. Whistleblowing in the private sector is typically not as high-profile or openly discussed in major news outlets, though occasionally, third parties expose human rights violations and exploitation of workers. While there are organizations such as the United States Department of Labor (DOL), and laws in place such as the Sarbanes-Oxley Act and the United States Federal Sentencing Guidelines for Organizations (FSGO) which protects whistleblowers in the private sector, many employees still fear for their jobs due to direct or indirect threats from their employers or the other parties involved. In an effort to overcome those fears, in 2010 Dodd–Frank Wall Street Reform and Consumer Protection Act was put forth to provide great incentive to whistleblowers. For example, if a whistleblower gave information which could be used to legally recover over one million dollars; then they could receive ten to thirty percent of it. Despite government efforts to help regulate the private sector, the employees must still weigh their options. They either expose the company and stand the moral and ethical high ground; or expose the company, lose their job, their reputation and potentially the ability to be employed again. According to a study at the University of Pennsylvania, out of three hundred whistleblowers studied, sixty nine percent of them had foregone that exact situation; and they were either fired or were forced to retire after taking the ethical high ground. It is outcomes like that which makes it all that much harder to accurately track how prevalent whistleblowing is in the private sector. Recognizing the public value of whistleblowing has been increasing over the last 50 years. In the United States, both state and Federal statutes have been put in place to protect whistleblowers from retaliation. The United States Supreme Court ruled that public sector whistleblowers are protected under First Amendment rights from any job retaliation when they raise flags over alleged corruption. Exposing misconduct or illegal or dishonest activity is a big fear for public employees because they feel they are going against their government and country. Private sector whistleblowing protection laws were in place long before ones for the public sector. After many federal whistleblowers were scrutinized in high-profile media cases, laws were finally introduced to protect government whistleblowers. These laws were enacted to help prevent corruption and encourage people to expose misconduct, illegal, or dishonest activity for the good of society. People who choose to act as whistleblowers often suffer retaliation from their employer. They most likely are fired because they are an at-will employee, which means they can be fired without a reason. There are exceptions in place for whistleblowers who are at-will employees. Even without a statute, numerous decisions encourage and protect whistleblowing on grounds of public policy. Statutes state that an employer shall not take any adverse employment actions any employee in retaliation for a good-faith report of a whistleblowing action or cooperating in any way in an investigation, proceeding, or lawsuit arising under said action. Federal whistleblower legislation includes a statute protecting all government employees. In the federal civil service, the government is prohibited from taking, or threatening to take, any personnel action against an employee because the employee disclosed information that they reasonably believed showed a violation of law, gross mismanagement, and gross waste of funds, abuse of authority, or a substantial and specific danger to public safety or health. To prevail on a claim, a federal employee must show that a protected disclosure was made, that the accused official knew of the disclosure, that retaliation resulted, and that there was a genuine connection between the retaliation and the employee's action. Individual harm, public trust damage, and a threat of national security are three categories of harm that may come as a result of whistleblowing. Revealing a whistleblower's identity can automatically put their life in danger. Some media outlets associate words like "traitor" and "treason" with whistleblowers, and in many countries around the world, the punishment for treason is the death penalty, even if whoever allegedly committed treason may not have caused anyone physical harm. A primary argument in favor of the death penalty for treason is the potential endangerment of an entire people. In other words, the perpetrator is perceived as being responsible for any harm that befalls the country or its citizens as a result of their actions. In some instances, whistleblowers must flee their country to avoid public scrutiny, threats of death or physical harm, and in some cases criminal charges. Whistleblowers are sometimes seen as selfless martyrs for public interest and organizational accountability; others view them as "traitors" or "defectors." Some even accuse them of solely pursuing personal glory and fame, or view their behavior as motivated by greed in qui tam cases. 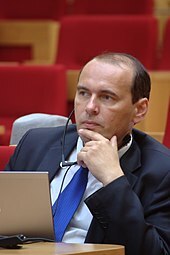 Some academics (such as Thomas Alured Faunce) feel that whistleblowers should at least be entitled to a rebuttable presumption that they are attempting to apply ethical principles in the face of obstacles and that whistleblowing would be more respected in governance systems if it had a firmer academic basis in virtue ethics. It is probable that many people do not even consider blowing the whistle, not only because of fear of retaliation, but also because of fear of losing their relationships at work and outside work. Employees in academia, business or government might become aware of serious risks to health and the environment, but internal policies might pose threats of retaliation to those who report these early warnings. Private company employees in particular might be at risk of being fired, demoted, denied raises and so on for bringing environmental risks to the attention of appropriate authorities. Government employees could be at a similar risk for bringing threats to health or the environment to public attention, although perhaps this is less likely. There are examples of "early warning scientists" being harassed for bringing inconvenient truths about impending harm to the notice of the public and authorities. There have also been cases of young scientists being discouraged from entering controversial scientific fields for fear of harassment. Whistleblowers are often protected under law from employer retaliation, but in many cases punishment has occurred, such as termination, suspension, demotion, wage garnishment, and/or harsh mistreatment by other employees. A 2009 study found that up to 38% of whistleblowers experienced professional retaliation in some form, including wrongful termination. For example, in the United States, most whistleblower protection laws provide for limited "make whole" remedies or damages for employment losses if whistleblower retaliation is proven. However, many whistleblowers report there exists a widespread "shoot the messenger" mentality by corporations or government agencies accused of misconduct and in some cases whistleblowers have been subjected to criminal prosecution in reprisal for reporting wrongdoing. As a reaction to this many private organizations have formed whistleblower legal defense funds or support groups to assist whistleblowers; three such examples are the National Whistleblowers Center in the United States, and Whistleblowers UK and Public Concern at Work (PCaW) in the United Kingdom. Depending on the circumstances, it is not uncommon for whistleblowers to be ostracized by their co-workers, discriminated against by future potential employers, or even fired from their organization. This campaign directed at whistleblowers with the goal of eliminating them from the organization is referred to as mobbing. It is an extreme form of workplace bullying wherein the group is set against the targeted individual. There is limited research on the psychological impacts of whistle blowing. However, poor experiences of whistleblowing can cause a prolonged and prominent assault upon staff well being. As workers attempt to address concerns, they are often met with a wall of silence and hostility by management. Some whistleblowers speak of overwhelming and persistent distress, drug and alcohol problems, paranoid behaviour at work, acute anxiety, nightmares, flashbacks and intrusive thoughts. Depression is often reported by whistleblowers, and suicidal thoughts may occur in up to about 10%. General deterioration in health and self care has been described. The range of symptomatology shares many of the features of posttraumatic stress disorder, though there is debate about whether the trauma experienced by whistleblowers meets diagnostic thresholds. Increased stress related physical illness has also been described in whistleblowers. The stresses involved in whistleblowing can be huge. As such, workers remain afraid to blow the whistle, in fear that they will not be believed or they have lost faith in believing that anything will happen if they do speak out. This fear may indeed be justified, because an individual who feels threatened by whistleblowing, may plan the career destruction of the ‘complainant’ by reporting fictitious errors or rumours. This technique, labelled as ‘gaslighting’ is a common, unconventional approach used by organizations to manage employees who cause difficulty by raising concerns. In extreme cases, this technique involves the organization or manager proposing that the complainant's mental health is unstable. Organizations also often attempt to ostracise and isolate whistleblowers by undermining their concerns by suggesting that these are groundless, carrying out inadequate investigations or by ignoring them altogether. Whistleblowers may also be disciplined, suspended and reported to professional bodies upon manufactured pretexts. Where whistleblowers persist in raising their concerns, they increasingly risk detriments such as dismissal. Following dismissal, whistleblowers may struggle to find further employment due to damaged reputations, poor references and blacklisting. The social impact of whistleblowing through loss of livelihood (and sometimes pension), and family strain may also impact on whistleblowers’ psychological well being. Whistleblowers may also experience immense stress as a result of litigation regarding detriments such as unfair dismissal, which they often face with imperfect support or no support at all from unions. Whistleblowers who continue to pursue their concerns may also face long battles with official bodies such as regulators and government departments. Such bodies may reproduce the "institutional silence" by employers, adding to whistleblowers’ stress and difficulties. In all, some whistleblowers suffer great injustice, that may never be acknowledged or rectified. Such extreme experiences of threat and loss inevitably cause severe distress and sometimes mental illness, sometimes lasting for years afterwards. This mistreatment also deters others from coming forward with concerns. Thus, poor practices remain hidden behind a wall of silence, and prevent any organization from experiencing the improvements that may be afforded by intelligent failure. Some whistleblowers who part ranks with their organizations have had their mental stability questioned, such as Adrian Schoolcraft, the NYPD veteran who alleged falsified crime statistics in his department and was forcibly committed to a mental institution. Conversely, the emotional strain of a whistleblower investigation is devastating to the accused's family. The definition of ethics is the moral principles that govern a person's or group's behavior. The ethical implications of whistleblowing can be negative as well as positive. However, sometimes employees may blow the whistle as an act of revenge. Rosemary O'Leary explains this in her short volume on a topic called guerrilla government. "Rather than acting openly, guerrillas often choose to remain "in the closet," moving clandestinely behind the scenes, salmon swimming upstream against the current of power. Over the years, I have learned that the motivations driving guerrillas are diverse. The reasons for acting range from the altruistic (doing the right thing) to the seemingly petty (I was passed over for that promotion). Taken as a whole, their acts are as awe inspiring as saving human lives out of a love of humanity and as trifling as slowing the issuance of a report out of spite or anger." For example, of the more than 1,000 whistleblower complaints that are filed each year with the Pentagon's Inspector General, about 97 percent are not substantiated. It is believed throughout the professional world that an individual is bound to secrecy within their work sector. Discussions of whistleblowing and employee loyalty usually assume that the concept of loyalty is irrelevant to the issue or, more commonly, that whistleblowing involves a moral choice that pits the loyalty that an employee owes an employer against the employee's responsibility to serve the public interest. Robert A. Larmer describes the standard view of whistleblowing in the Journal of Business Ethics by explaining that an employee possesses prima facie (based on the first impression; accepted as correct until proved otherwise) duties of loyalty and confidentiality to their employers and that whistleblowing cannot be justified except on the basis of a higher duty to the public good. It is important to recognize that in any relationship which demands loyalty the relationship works both ways and involves mutual enrichment. The ethics of Edward Snowden's actions have been widely discussed and debated in news media and academia worldwide. 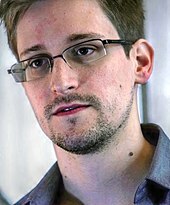 Edward Snowden released classified intelligence to the American people in an attempt to allow Americans to see the inner workings of the government. A person is diligently tasked with the conundrum of choosing to be loyal to the company or to blow the whistle on the company's wrongdoing. Discussions on whistleblowing generally revolve around three topics: attempts to define whistleblowing more precisely, debates about whether and when whistleblowing is permissible, and debates about whether and when one has an obligation to blow the whistle. Many whistleblowers have stated that they were motivated to take action to put an end to unethical practices, after witnessing injustices in their businesses or organizations. A 2009 study found that whistleblowers are often motivated to take action when they notice a sharp decline in ethical practices, as opposed to a gradual worsening. There are generally two metrics by which whistleblowers determine if a practice is unethical. The first metric involves a violation of the organization's bylaws or written ethical policies. These violations allow individuals to concretize and rationalize blowing the whistle. On the other hand, "value-driven" whistleblowers are influenced by their personal codes of ethics. In these cases, whistleblowers have been criticized for being driven by personal biases. In addition to ethics, social and organizational pressure are a motivating forces. A 2012 study identified that individuals are more likely to blow the whistle when several others know about the wrongdoing, because they would otherwise fear consequences for keeping silent. In cases when one person is causing an injustice, the individual who notices the injustice may file a formal report, rather than confronting the wrongdoer, because confrontation would be more emotionally and psychologically stressful. Furthermore, individuals may be motivated to report unethical behavior when they believe their organizations will support them. Professionals in management roles may feel responsibility to blow the whistle in order to uphold the values and rules of their organizations. Legal protection for whistleblowing varies from country to country and may depend on the country of the original activity, where and how secrets were revealed, and how they eventually became published or publicized. Over a dozen countries have now adopted comprehensive whistleblower protection laws that create mechanisms for reporting wrongdoing and provide legal protections to whistleblowers. Over 50 countries have adopted more limited protections as part of their anti-corruption, freedom of information, or employment laws. For purposes of the English Wikipedia, this section emphasizes the English-speaking world and covers other regimes only insofar as they represent exceptionally greater or lesser protections. There are laws in a number of states. The former NSW Police Commissioner Tony Lauer summed up official government and police attitudes as: "Nobody in Australia much likes whistleblowers, particularly in an organization like the police or the government." Whistleblowers Australia is an association for those who have exposed corruption or any form of malpractice, especially if they were then hindered or abused. The Office of the Public Sector Integrity Commissioner of Canada (PSIC) provides a safe and confidential mechanism enabling public servants and the general public to disclose wrongdoings committed in the public sector. It also protects from reprisal public servants who have disclosed wrongdoing and those who have cooperated in investigations. The Office's goal is to enhance public confidence in Canada's federal public institutions and in the integrity of public servants. Mandated by the Public Servants Disclosure Protection Act (The Act), PSIC is a permanent and independent Agent of Parliament. The Act, which came into force on April 15, 2007, applies to most of the federal public sector, approximately 400,000 public servants. This includes government departments and agencies, parent Crown corporations, the Royal Canadian Mounted Police and other federal public sector bodies. Not all disclosures lead to an investigation as the Act sets out the jurisdiction of the Commissioner and gives the option not to investigate under certain circumstances. On the other hand, if PSIC conducts an investigation and finds no wrongdoing was committed, the Commissioner must report his findings to the discloser and to the organization's chief executive. Also, reports of founded wrongdoing are presented before the House of Commons and the Senate in accordance with The Act. As of June 2014, a total of 9 reports have been tabled in Parliament. The Act also established the Public Servants Disclosure Protection Tribunal (PSDPT) to protect public servants by hearing reprisal complaints referred by the Public Sector Integrity Commissioner. The Tribunal can grant remedies in favour of complainants and order disciplinary action against persons who take reprisals. PSIC's current Commissioner is Mr. Mario Dion. Previously, he has served in various senior roles in the public service, including as Associate Deputy Minister of Justice, Executive Director and Deputy Head of the Office of Indian Residential Schools Resolution of Canada, and as Chair of the National Parole Board. The European Parliament approved a "Whistleblower Protection Directive" containing broad free speech protections for whistleblowers in both the public and the private sectors, including for journalists, in all member states of the European Union. The Directive prohibits direct or indirect retaliation against employees, current and former, in the public sector and the private sector. The Directive's protections apply to employees, to volunteers, and to those who assist them, including to civil society organizations and to journalists who report on their evidence. It provides equal rights for whistleblowers in the national security sector who challenge denial or removal of their security clearances. Also, whistleblowers are protected from criminal prosecution and corporate lawsuits for damages resulting from their whistleblowing, and provides for psychological support for dealing with harassment stress. In Jamaica, the Protected Disclosures Act, 2011 received assent in March 2011. It creates a comprehensive system for the protection of whistleblowers in the public and private sector. It is based on the Public Interest Disclosure Act 1998. The Government of India has been considering adopting a whistleblower protection law for several years. In 2003, the Law Commission of India recommended the adoption of the Public Interest Disclosure (Protection of Informers) Act, 2002. In August 2010, the Public Interest Disclosure and Protection of Persons Making the Disclosures Bill, 2010 was introduced into the Lok Sabha, lower house of the Parliament of India. The Bill was approved by the cabinet in June, 2011. The Public Interest Disclosure and Protection of Persons Making the Disclosures Bill, 2010 was renamed as The Whistleblowers' Protection Bill, 2011 by the Standing Committee on Personnel, Public Grievances, Law and Justice. The Whistleblowers' Protection Bill, 2011 was passed by the Lok Sabha on 28 December 2011. and by the Rajyasabha on 21 February 2014. The Whistle Blowers Protection Act, 2011 has received the Presidential assent on May 9, 2014 and the same has been subsequently published in the official gazette of the Government of India on May 9, 2014 by the Ministry of Law and Justice, Government of India. The government of Ireland committed to adopting a comprehensive whistleblower protection law in January 2012. The Protected Disclosures Act (PDA) was passed in 2014. The law covers workers in the public and private sectors, and also includes contractors, trainees, agency staff, former employees and job seekers. A range of different types of misconduct may be reported under the law, which provides protections for workers from a range of employment actions as well as whistleblowers' identity. The Netherlands has measures in place to mitigate the risks of whistleblowing: the whistleblower advice centre (Adviespunt Klokkenluiders) offers advice to whistleblowers, and the Parliament recently passed a proposal to establish a so-called house for whistleblowers, to protect them from the severe negative consequences that they might endure (Kamerstuk, 2013). Dutch media organizations also provide whistleblower support; on 9 September 2013 a number of major Dutch media outlets supported the launch of Publeaks, which provides a secure website for people to leak documents to the media. Publeaks is designed to protect whistleblowers. It operates on the GlobaLeaks software developed by the Hermes Center for Transparency and Digital Human Rights, which supports whistleblower-oriented technologies internationally. The Swiss Council of States agreed on a draft amendment of the Swiss Code of Obligations in September 2014. The draft introduces articles 321abis to 321asepties, 328(3), 336(2)(d). An amendment of article 362(1) adds articles 321abis to 321asepties to the list of provisions that may not be overruled by labour and bargaining agreements. the employer has not addressed the irregularity or it is obvious that the employer has insufficiently addressed the irregularity. where there is a direct and serious hazard to life, to health, to safety, or to the environment. The draft does not improve on protection against dismissal for employees who report irregularities to their employer. The amendment does not provide for employees anonymously filing their observations of irregularities. Whistleblowing in the United Kingdom is protected by the Public Interest Disclosure Act (PIDA) 1998. Amongst other things, under the Act protected disclosures are permitted even if a non-disclosure agreement has been signed between the employer and the former or current employee; a consultation on further restricting confidentiality clauses was held in 2019. Culture of raising concerns – to make raising issues a part of normal routine business of a well-led NHS organization. Culture free from bullying – freedom of staff to speak out relies on staff being able to work in a culture which is free from bullying. Training – every member of staff should receive training in their trust's approach to raising concerns and in receiving and acting on them. Support – all NHS trusts should ensure there is a dedicated person to whom concerns can be easily reported and without formality, a "speak up guardian" . Support to find alternative employment in the NHS – where a worker who has raised a concern cannot, as a result, continue their role, the NHS should help them seek an alternative job. Monitor produced a whistleblowing policy in November 2015 that all NHS organizations in England are obliged to follow. It explicitly says that anyone bullying or acting against a whistleblower could be potentially liable to disciplinary action. To be considered a whistleblower in the United States, most federal whistleblower statutes require that federal employees have reason to believe their employer violated some law, rule, or regulation; testify or commence a legal proceeding on the legally protected matter; or refuse to violate the law. In cases where whistleblowing on a specified topic is protected by statute, U.S. courts have generally held that such whistleblowers are protected from retaliation. However, a closely divided U.S. Supreme Court decision, Garcetti v. Ceballos (2006) held that the First Amendment free speech guarantees for government employees do not protect disclosures made within the scope of the employees' duties. In the United States, legal protections vary according to the subject matter of the whistleblowing, and sometimes the state where the case arises. In passing the 2002 Sarbanes–Oxley Act, the Senate Judiciary Committee found that whistleblower protections were dependent on the "patchwork and vagaries" of varying state statutes. Still, a wide variety of federal and state laws protect employees who call attention to violations, help with enforcement proceedings, or refuse to obey unlawful directions. While this patchwork approach has often been criticized, it also responsible for the United States having more dedicated whistleblowing laws than any other country. The first US law adopted specifically to protect whistleblowers was the 1863 United States False Claims Act (revised in 1986), which tried to combat fraud by suppliers of the United States government during the American Civil War. The Act encourages whistleblowers by promising them a percentage of the money recovered by the government and by protecting them from employment retaliation. Another US law that specifically protects whistleblowers is the Lloyd–La Follette Act of 1912. It guaranteed the right of federal employees to furnish information to the United States Congress. The first US environmental law to include an employee protection was the Clean Water Act of 1972. Similar protections were included in subsequent federal environmental laws, including the Safe Drinking Water Act (1974), Resource Conservation and Recovery Act (1976), Toxic Substances Control Act of 1976, Energy Reorganization Act of 1974 (through 1978 amendment to protect nuclear whistleblowers), Comprehensive Environmental Response, Compensation, and Liability Act (CERCLA, or the Superfund Law) (1980), and the Clean Air Act (1990). Similar employee protections enforced through OSHA are included in the Surface Transportation Assistance Act (1982) to protect truck drivers, the Pipeline Safety Improvement Act (PSIA) of 2002, the Wendell H. Ford Aviation Investment and Reform Act for the 21st Century ("AIR 21"), and the Sarbanes–Oxley Act, enacted on July 30, 2002 (for corporate fraud whistleblowers). Investigation of retaliation against whistleblowers under 20 federal statutes falls under the jurisdiction of the Office of the Whistleblower Protection Program of the United States Department of Labor's Occupational Safety and Health Administration (OSHA). New whistleblower statutes enacted by Congress, which are to be enforced by the Secretary of Labor, are generally delegated by a Secretary's Order to OSHA's Office of the Whistleblower Protection Program (OWPP). The patchwork of laws means that victims of retaliation need to be aware of the laws at issue to determine the deadlines and means for making proper complaints. Some deadlines are as short as 10 days (Arizona State Employees have 10 days to file a "Prohibited Personnel Practice" Complaint before the Arizona State Personnel Board), while others are up to 300 days. Those who report a false claim against the federal government, and suffer adverse employment actions as a result, may have up to six years (depending on state law) to file a civil suit for remedies under the US False Claims Act (FCA). Under a qui tam provision, the "original source" for the report may be entitled to a percentage of what the government recovers from the offenders. However, the "original source" must also be the first to file a federal civil complaint for recovery of the federal funds fraudulently obtained, and must avoid publicizing the claim of fraud until the US Justice Department decides whether to prosecute the claim itself. Such qui tam lawsuits must be filed under seal, using special procedures to keep the claim from becoming public until the federal government makes its decision on direct prosecution. The Espionage Act of 1917 has been used to prosecute whistleblowers in the United States including Edward Snowden and Chelsea Manning. In 2013, Manning was convicted of violating the Espionage Act and sentenced to 35 years in prison for leaking sensitive military documents to WikiLeaks. The same year, Snowden was charged with violating the Espionage Act for releasing confidential documents belonging to the NSA. Section 922 of the Dodd–Frank Wall Street Reform and Consumer Protection Act (Dodd-Frank) in the United States incentivizes and protects whistleblowers. By Dodd-Frank, the U.S. Securities and Exchange Commission (SEC) financially rewards whistleblowers for providing original information about violations of federal securities laws that results in sanctions of at least $1M. Additionally, Dodd-Frank offers job security to whistleblowers by illegalizing termination or discrimination due to whistleblowing. The whistleblower provision has proven successful; after the enactment of Dodd-Frank, the SEC charged KBR (company) and BlueLinx Holdings Inc. (company) with violating the whistleblower protection Rule 21F-17 by having employees sign confidentiality agreements that threatened repercussions for discussing internal matters with outside parties. As of his recent election, President Donald Trump has announced plans to dismantle Dodd-Frank, which may negatively impact whistleblower protection in the United States. The federally recognized National Whistleblower Appreciation Day is observed annually on July 30, on the anniversary of the country's original 1778 whistleblower protection law. In 2018, Joshua Adam Schulte, a former CIA employee, was accused of leaking CIA hacking secrets to WikiLeaks. There are comprehensive laws in New Zealand and South Africa. A number of other countries have recently adopted comprehensive whistleblower laws including Ghana, South Korea, and Uganda. They are also being considered in Kenya and Rwanda. The European Court of Human Rights ruled in 2008 that whistleblowing was protected as freedom of expression. And in February 2017, Nigeria also set up the whistleblowing policy against corruption and other ills in the country. Whistleblowers that may be at risk of those they are exposing are now using encryption methods and anonymous content sharing software to protect their identity. Tor, a highly accessible anonymity network, is one that is frequently used by whistleblowers around the world. Tor has undergone a number of large security updates to protect the identities of potential whistleblowers who may wish to anonymously leak information. Recently specialized whistleblowing software like SecureDrop and GlobaLeaks has been built on top of the Tor technology in order to incentivize and simplify its adoption for secure whistleblowing. In 2016, the rock band Thrice released a song titled "Whistleblower" off of the album To Be Everywhere Is to Be Nowhere. The song is written from the perspective of Snowden. In July 2018, CBS debuted a new reality television show entitled "Whistleblower", hosted by lawyer, former judge and police officer Alex Ferrer which covers qui tam suits under the False Claims Act against companies that have allegedly defrauded the federal government. ^ Company, Houghton Mifflin Harcourt Publishing. "The American Heritage Dictionary entry: whistleblower". www.ahdictionary.com. ^ Vandekerckhove, Wim (2006). Whistleblowing and Organizational Social Responsibility : A Global Assessment. Ashgate. ^ Near, Janet P (Feb 1, 1985). "Organizational dissidence: The case of whistle-blowing". Journal of Business Ethics. ^ Delmas, Candice. "The Ethics of Government Whistleblowing". Social Theory & Practice. Jan2015, Vol. 41 Issue 1, p77-105. 29p. ^ Alford, C. Fred. "Whistleblowers and the Narrative of Ethics". Journal of Social Philosophy. Winter2001, Vol. 32 Issue 4, p402-418. 17p. ^ Firtko, Angela; Jackson, Debra. "Do the Ends Justify the Means? Nursing and the Dilemma of Whistleblowing". Australian Journal of Advanced Nursing. Sep/Nov2005, Vol. 23 Issue 1, p51-56. 6p. ^ Delmas, Candice (January 2015). "The Ethics of Government Whisltleblowing". Social Theory and Practice. ^ See: New Scientist 9 Dec. 1971, p. 69: "The Code [of Good Conduct of The British Computer Society] contains secrecy clauses that effectively prohibit Nader style whistle-blowing"
^ Nader, Petkas, and Blackwell, Whistleblowing (1972). ^ a b "The meaning and origin of the expression: Whistle-blower". The Phrase Finder. Gary Martin. Retrieved 27 January 2017. ^ "Etymonline.com". Etymonline.com. Retrieved 2012-07-08. ^ "Wordorigins.org". Wordorigins.org. Retrieved 2012-07-08. ^ Business Ethics: Ethical Decision Making and Cases. Cengage Learning. 2017. p. 194. ISBN 978-1305500846. ^ Mary Rowe, "Options and choice for conflict resolution in the workplace" in Negotiation: Strategies for Mutual Gain, by Lavinia Hall (ed. ), Sage Publications, Inc., 1993, pp. 105–119. ^ "Elements of an Effective Whistleblower Hotline". corpgov.law.harvard.edu. ^ "ISO 37001:2016 - Anti-bribery management systems -- Requirements with guidance for use". www.iso.org. ^ Castagnera, James (Spring 2003). "The Rise of the Whistleblower and the Death of Privacy Impact of 9/11 and Enron". Labor Law Journal. ^ Timmerman, Kelsey (2012). Where am I wearing?. California: Wiley. ^ Business Ethics: Ethical Decision Making and Case 10th Edition. O.C. Ferrell, John Fraedich, Linda Ferrell. 2014. p. 193. ISBN 978-1285423715 – via Cengage Learning. ^ a b c "Whistleblowing". Retrieved 2015-05-06. ^ Lee, Katie (2011). "Whistleblower Retaliation in the Public Sector". Public Personnel Management. ^ Faunce, T.A. and Jefferys, S. "Whistleblowing and scientific misconduct: Renewing legal and virtue ethics foundations". Journal of Medicine and Law 2007, 26(3): 567–84. ^ a b European Environment Agency) (Jan 23, 2013). "Late lessons from early warnings: science, precaution, innovation: Full Report". p. 614. ^ "whistleblowers.org". whistleblowers.org. Retrieved 2012-07-08. ^ "wbuk.org". wbuk.org. Retrieved 2017-01-30. ^ "pcaw.co.uk". pcaw.co.uk. Retrieved 2012-07-08. ^ a b Peters, K. et al. (2011). The emotional sequelae of whistleblowing: findings from a qualitative study. Journal of Clinical Nursing, 20: P2907-14. ^ Lennane J (17 November 1995) The canary down the mine: what whistleblowers' health tells us about their environment Paper given at Department of Criminology, Melbourne University, conference: "Whistleblowers: protecting the nation's conscience?" ^ "Cop hauled off to psych ward after alleging fake crime stats". www.rawstory.com. 2010-10-10. ^ "William McRaven: A warrior's career sacrificed for politics". 24 April 2016. ^ O'Leary, Rosemary (2006). The Ethics of Dissent: Managing Guerrilla Government. Washington D.C.: CQ. ^ "Commander of bin Laden raid blasts Senate for disrespecting military leaders". Washington Post. ^ a b Larmer, Robert A. (Feb 1992). "Whistleblowing and Employee Loyalty". Journal of Business Ethics. ^ Duska, Ronald (Feb 1992). "Whistleblowing and Employee Loyalty". Journal of Business Ethics. ^ Friedman, Mark. "EDWARD SNOWDEN: HERO OR TRAITOR? CONSIDERING THE IMPLICATIONS FOR CANADIAN NATIONAL SECURITY AND WHISTLEBLOWER LAW". ^ Issues in Business Ethics. Springer. 2007. pp. 139–147. ^ Rice, Alexander J. "Using Scholarship on Whistleblowing to Inform Peer Ethics Reporting". Professional Psychology: Research & Practice. Aug2015, Vol. 46 Issue 4: p298–305. 8p. ^ Gino, F., & Bazerman, M. H. (2009). When misconduct goes unnoticed: The acceptability of gradual erosion in others' unethical behavior. Journal of Experimental Social Psychology, 45(4), 708-719. ^ Kaptein, Muel (2011). "From Inaction to External Whistleblowing: The Influence of the Ethical Culture of Organizations on Employee Responses to Observed Wrongdoing". Journal of Business Ethics. 98: 513. ^ Keenan, J. P., & McLain, D. A. (1992). Whistleblowing: A conceptualization and model. In Wall, J. L., & Jauch, K. R. (Eds. ), Academy of Management Best Papers Proceedings, August 10–12, Las Vegas, NV, 350–352. ^ Robinson, S. N., Robertson, J. C., & Curtis, M. B. "The Effects of Contextual and Wrongdoing Attributes on Organizational Employees' Whistleblowing Intentions Following Fraud." Journal of Business Ethics. 2012. ^ de Graaf, Gjalt (2010). "Managing Conflicting Public Values: Governing With Integrity and Effectiveness". The American Review of Public Administration. ^ King III, Granville; Hermodson, Amy. "Peer reporting of coworker wrongdoing: A qualitative analysis of observer attitudes in the decision to report versus not report unethical behavior". Journal of Applied Communication Research. Vol. 28 (2000), Issue 4: 309–329. ^ Trevino, Linda Klebe; Victor, Bart. "Peer Reporting of Unethical Behavior: A Social Context Perspective". The Academy of Management Journal. Vol. 35, No. 1 (Mar., 1992): pp. 38–64. ^ Gundlach, Michael J.; Douglas, Scott C.; Martinko, Mark J. "The Decision to Blow the Whistle: A Social Information Processing Framework". The Academy of Management Review. Vol. 28, No. 1 (Jan., 2003). : pp. 107–123. ^ Loyens, Kim (1997). "Why police officers and labour inspectors (do not) blow the whistle: A grid group cultural theory perspective". Policing: An International Journal of Police Strategies & Management. ^ Caillier, J.G. (2015). "Transformational Leadership and Whistle-Blowing Attitudes Is This Relationship Mediated by Organizational Commitment and Public Service Motivation?". The American Review of Public Administration. 45 (4): 458–475. ^ Whistleblowers Australia (2012-02-12). "Whistleblowers Australia". Whistleblowers.org.au. Retrieved 2012-07-08. ^ Toolkit, Web Experience. "Office of the Public Sector Integrity Commissioner of Canada". www.psic-ispc.gc.ca. ^ Government of Canada, PSIC. "Background, Objectives, Scope". Office of the Public Sector Integrity Commissioner. Retrieved 16 June 2014. ^ Government of Canada, PSIC (2013-09-10). "The Servants Disclosure Protection Act". Office of the Public Sector Integrity Commissioner. Retrieved 16 June 2014. ^ Government of Canada, PSIC (2014-05-27). "Case Reports". Office of the Public Sector Integrity Commissioner. Retrieved 16 June 2014. ^ a b Government Accountability Project, 21 Nov. 2018, "European Parliament Panel Approves Whistleblower Protections for all EU Countries"
^ Parliament, Houses of. "Acts List" (PDF). www.japarliament.gov.jm. ^ "Publin Interest Disclosure Bill" (PDF). Retrieved 2013-06-13. ^ "Legislative Brief" (PDF). Retrieved 2013-06-13. ^ PTI (2011-12-28). "Whistle-blowers Bill passed". Chennai, India: The Hindu. Retrieved 2012-07-08. ^ "Whistleblower Bill to cover public and private sectors". Irish Times. 30 January 2011. ^ "Protected Disclosures Act 2014 – a new era for whistleblowing in Ireland". www.icsa.org.uk. Retrieved 2019-01-05. ^ "Publeaks - Veilig en anoniem informatie delen met de pers". www.publeaks.nl. ^ "HERMES Center for Transparency and Digital Human Rights". logioshermes.org. ^ "Schutz bei Meldung von Unregelmässigkeiten am Arbeitsplatz" (PDF). Retrieved 22 October 2014. ^ "Botschaft über die Teilrevision des Obligationenrechts" (PDF). Retrieved 23 October 2014. ^ "Consultation on Confidentiality Clauses" (PDF). UK Department for Business, Energy & Industrial Strategy. March 2019. ^ "Monitor to reveal national whistleblowing policy". Health Service Journal. 16 November 2015. Retrieved 18 December 2015. ^ "DOL.gov". Oalj.dol.gov. Retrieved 2012-07-08. ^ "Peer.org". Peer.org. Retrieved 2012-07-08. ^ Congressional Record p. S7412; S. Rep. No. 107–146, 107th Cong., 2d Session 19 (2002). ^ Gerdemann, Simon (2018). Transatlantic Whistleblowing. Mohr Siebeck. ISBN 978-3-16-155917-4. ^ "Answers.com". Answers.com. Retrieved 2012-07-08. ^ "Whistleblowers.gov". Whistleblowers.gov. Retrieved 2012-07-08. ^ "DOL.gov". DOL.gov. Retrieved 2012-07-08. ^ "Osha.gov". Osha.gov. 2012-04-28. Retrieved 2012-07-08. ^ "Osha.gov". Osha.gov. Retrieved 2012-07-08. ^ Madar, Chase. "The Trials of Bradley Manning". Nation. 8/19/2013, Vol. 297 Issue 7/8, p12-17. 5p. ^ Bamford, James. "Watch Thy Neighbor". Foreign Policy. Mar/Apr2016, Issue 217, p76-79. 3p. ^ "Dodd-Frank Section 922" (PDF). sec.gov. ^ a b "Dodd-Frank Act Rulemaking: Whistleblower Program". www.sec.gov. Retrieved 2016-10-26. ^ Barthle II, Patrick A. "Whistling Rogues: A Comparative Analysis of the Dodd-Frank Whistleblower Bounty Program". Washington & Lee Law Review. Spring2012, Vol. 69 Issue 2, p1201-1257. 57p. ^ AGARWAL, TAPAS. "ANTI-RETALIATION PROTECTION FOR INTERNAL WHISTLEBLOWERS UNDER DODD-F RANK FOLLOWING THE FIFTH CIRCUIT'S DECISION IN ASADI". St. Mary's Law Journal. Vol. 46 Issue 3, p421-431. 11p. ^ Leifer, Samuel C. "PROTECTING WHISTLEBLOWER PROTECTIONS IN THE DODD--FRANK ACT". Michigan Law Review. Oct2014, Vol. 113 Issue 1, p121-149. 29p. ^ "SEC.gov | SEC: Companies Cannot Stifle Whistleblowers in Confidentiality Agreements". www.sec.gov. Retrieved 2016-10-27. ^ Hastings, Kathryn. "Keeping Whistleblowers Quiet: Addressing Employer Agreements To Discourage Whistleblowing". Tulane Law Review. Dec2015, Vol. 90 Issue 2, p495-527. 33p. ^ "Trump Team Promises To 'Dismantle' Dodd-Frank Bank Regulations". NPR.org. Retrieved 2016-11-11. ^ "Who Is Joshua Adam Schulte? Former CIA Employee Charged Over Vault 7 Leak". Newsweek. 19 June 2018. ^ "Blueprint for Free Speech – Meet the whistleblowers". blueprintforfreespeech.net. ^ User, Super. "Home". www.opendemocracy.org.za. ^ Mittal, Prateek (2001). "PIR-Tor: Scalable Anonymous Communication Using Private Information Retrieval" (PDF). USENIX Security Symposium. Retrieved 10 April 2015. ^ "Security upgrade for 'anonymity network'". New Scientist. 8/11/2007, Vol. 195 Issue 2616, p23-23. 1p. ^ Frediani, Carola. "After NSA Scandal, Crop of Whistleblower Communication Tools for Journalists Emerge". TechPresident. Retrieved 27 November 2016. ^ Greenberg, Andy (2014-05-14). "Whistleblowers Beware: Apps Like Whisper and Secret Will Rat You Out". Wired. Retrieved 27 November 2016. ^ Montemarano, Mike. "'Blood on the Sand:' A Conversation With Thrice". Baeble Music. Retrieved April 25, 2016. ^ "Plaintiffs Lawyers Get TV Time as CBS Launches Whistleblower Reality Show | The American Lawyer". The American Lawyer. Retrieved 2018-07-18. Engineering Ethics concepts and cases by Charles E. Harris, Jr. - Michael S. Pritchard- Michael J. Rabins. Frais, A "Whistleblowing heroes – boon or burden? ", Bulletin of Medical Ethics, 2001 Aug:(170):13–19. Alford, C. Fred (2001). Whistleblowers: Broken Lives and Organizational Power. Cornell University Press. ISBN 978-0-8014-3841-7. Garrett, Allison, "Auditor Whistle Blowing: The Financial Fraud Detection and Disclosure Act," 17 Seton Hall Legis. J. 91 (1993). Hunt, Geoffrey (2006). "The Principle of Complementarity: Freedom of Information, Public Accountability and Whistleblowing in". Chapman, R & Hunt, M (eds) Freedom of Information: Perspectives on Open Government in a Theoretical and Practical Context. Ashgate Publishing, Aldershot, UK. Hesch, Joel (2009). Whistleblowing: A guide to government reward programs. Goshen Press. ISBN 978-0-9772602-0-1. Hunt, Geoffrey (2000). "Whistleblowing, Accountability & Ethical Accounting". Clinical Risk. 6 (3): 115–16. Hunt, Geoffrey (1998). 'Whistleblowing', commissioned entry for Encyclopedia of Applied Ethics, (8,000 words). Academic Press, California, USA. Johnson, Roberta Ann (2002). Whistleblowing: When It Works—And Why. L. Reinner Publishers. ISBN 978-1-58826-114-4. Kohn, Stephen M (2000). Concepts and Procedures in Whistleblower Law. Quorum Books. ISBN 978-1-56720-354-7. Lauretano, Major Daniel A., "The Military Whistleblower Protection Act and the Military Mental Health Protection Act", Army Law, (Oct) 1998. Lipman, Frederick D. (2012). Whistleblowers: Incentives, Disincentives, and Protection Strategies. John Wiley & Sons. ISBN 978-1-118-09403-7. Martin, Brian. Justice Ignited: The Dynamics of Backfire, (Lanham, MD: Rowman & Littlefield, 2007). Martin, Brian with Wendy Varney. Nonviolence Speaks: Communicating against Repression, (Cresskill, NJ: Hampton Press, 2003). Martin, Brian. Technology for Nonviolent Struggle, (London: War Resisters' International, 2001). Martin, Brian with Lyn Carson. Random Selection in Politics, (Westport, CT: Praeger, 1999). Martin, Brian. The Whistleblower's Handbook: How to Be an Effective Resister, (Charlbury, UK: Jon Carpenter; Sydney: Envirobook, 1999). Updated and republished 2013 as Whistleblowing: a practical guide, Sparsnäs, Sweden: Irene Publishing. Miethe, Terance D (1991). Whistleblowing at work: tough choices in exposing fraud, waste, and abuse on the job. Westview Press. ISBN 978-0-8133-3549-0. "Federal Whistleblower Protection: A Means to Enforcing Maximum Hour Legislation for Medical Residents", by Robert N. Wilkey Esq., William Mitchell Law Review, Vol. 30, Issue 1 (2003). Robert J. McCarthy, "Blowing in the Wind: Answers for Federal Whistleblowers", 3 William & Mary Policy Review 184 (2012). Look up whistle-blower in Wiktionary, the free dictionary. Look up whistleblower in Wiktionary, the free dictionary. Wikimedia Commons has media related to Whistleblowers. Ed Yong (28 November 2013). "3 ways to blow the whistle" (PDF). Nature Vol 503. "Digital Dissidents: What it Means to be a Whistleblower". Al Jazeera English.